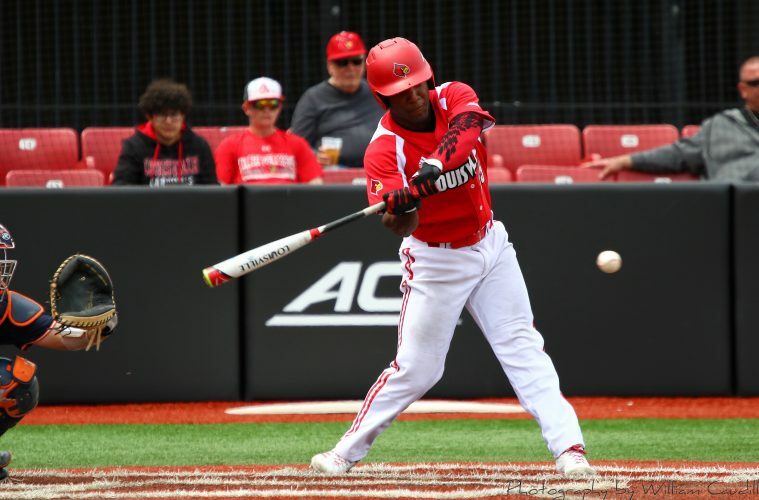 Over the weekend, the #24 Louisville Cardinals bounced back from their fifth ACC series loss with a non-conference series victory over the Indiana State Sycamores, winning 2 out of 3 games. 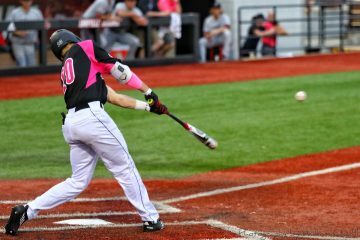 The series victory ensured that Louisville would remain undefeated in series play against non-conference opponents, however their series finale loss to the Sycamores would be their first loss against a non-Power 5 opponent. 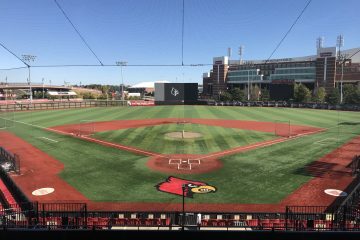 Under perfect weather conditions, the #24 Louisville Cardinals got their weekend series with Indiana State Sycamores started with a battle of aces that ended in a walk off from junior outfielder Josh Stowers. Louisville came back from a 2-1 deficit going into the bottom of the ninth, and were able to come back and win the game off just 3 at-bats in the inning. Prior to the eighth inning, both teams had only combined for 6 hits and 5 walks. The first run of the game was not scored until after the halfway point of the contest, and fortunately it was the Cards who broke through. A groundout on behalf of junior catcher Pat Rumoro would bring home sophomore designated hitter Danny Oriente after he drew a leadoff walk. For his 11th start of the season, junior southpaw Adam Wolf was in his typical Adam Wolf form yet again. While he only racked up 6 strikeouts on the day, he gave the pitching staff 7 scoreless innings before giving up a leadoff home run in the 8th inning. Although this would be the only run given up on his behalf in the inning, sophomore right-hander Shay Smiddy would relieve him and make his way into the game in the ninth. The Sycamores would take advantage of the pitching change and leadoff the inning with back-to-back base hits to take a 2-1 lead in the top of the ninth. Louisville wasn’t done yet though. Heading into the borrow of the ninth, sophomore first baseman Logan Wyatt drove in junior second baseman Devin Mann for the tying run off a double after Mann drew off a leadoff walk, then Stowers would proceed to bring home Wyatt off a walk-off single for the 3-2 victory. 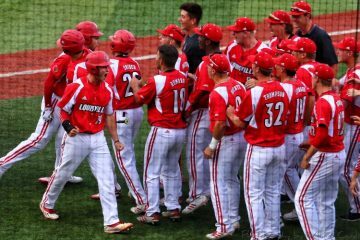 This was Louisville’s first walk-off win since March 4th against Western Carolina. Thanks in part to a career day from sophomore first baseman Logan Wyatt and a strong start from sophomore southpaw Nick Bennett, the #24 Louisville Cardinals took down the Indiana State Sycamores, 10-6 in game 2 to clinch the weekend series. 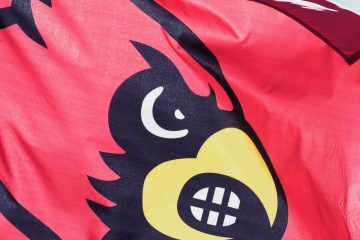 As a result of the series clinching victory, Louisville would go undefeated on the season in series’ against non-Power 5 opponents. The Sycamores took an early 1-0 lead in the top of the third inning, but the Cardinal Nine weren’t far behind as they would respond immediately with a 4 run bottom of the third. Facing the bases loaded, Logan Wyatt delivered on yet another clutch situation and drove in a 2 RBI single to take the lead from Indiana State. Following him up with runners on the corners, junior infielder Josh Stowers continued his hot weekend with a double to bring home another run, the sophomore designated hitter Danny Oriente would bring Stowers home off a single to make it a 4-1 game after the early innings. Indiana State chipped into the Cards’ lead with another run of their own in the top of the fifth, but once again Louisville would respond immediately. In the bottom of the fifth, Logan Wyatt smoked a fastball into the trees in right field for a 3 run home run, and his third long ball of the year. Just two innings later, Louisville put another three-spot on the Sycamores to make it 10-2, thanks to a fielder’s choice by Wyatt, a ground rule double from Oriente, and a passed ball. Scoring all these runs would be all for naught if Louisville could not get some pitching going, which fortunately for Coach Mac, they did. In his six inning start, Nick Bennett would only allow 2 runs off 6 hits and 2 walks, while sitting down 5 Indiana State batters on strikes. 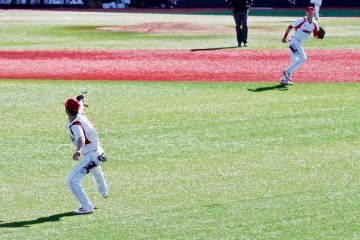 Once his day was done and junior righty Riley Thompson would make his way to the game, ISU would finally get some offense going and plate 4 runs in the eighth inning. While Louisville still held a 4 run lead, Coach Mac opted to pull him to insure they would not blow an 8 run lead with two innings to go. Graduate transfer Austin Conway would finish the eighth inning, then pitch a scoreless ninth inning to earn the save against his former team. While the series might have been lost, Indiana State didn’t go down without a fight. The Sycamores clawed back into the game in the ninth inning with a 3 run rally thanks to untimely errors by the Cards defense, and they were able to take down the #24 Louisville Cardinals in the series finale. The loss gave Louisville its first loss of the season to a non-Power 5 opponent. While Louisville scored in the very first inning thanks to a groundout RBI from junior second baseman Devin Mann, the game was in fact a pitcher’s duel. In just his fourth start of the season, freshman right-hander Bobby Miller put up a strong performance. He tossed 7 scoreless innings while striking out 6 batters and only giving up 5 hits and 2 walks. By the end of his day on the mound, his ERA would dip to 0.92 to be the only pitcher on the roster with an ERA under 1 and double digit innings pitched. Unfortunately for the Cardinal Nine, Indiana State’s pitching would keep them off the board as well. Aside from the run given up in the opening frame, Louisville would not score for the rest of the game, which did no bode well when Miller left the game. Junior righty Bryan Hoeing would pitch a scoreless eight, but when sophomore left-hander Adam Elliott entered in the ninth and just three outs away from a sweep, the Sycamores fought back. The leadoff runner would reach thanks to an error and the next batter would walk, prompting Coach Mac to yank Elliott and insert fellow sophomore Shay Smiddy. Another error would load the bases, and then back-to-back base hits would give Indiana State a three spot. Smiddy finally got the bleeding to stop, but the damage had been done and ISU held a 3-1 lead heading into the bottom of the ninth. Unfortunately, Louisville would be sat down in order and the Sycamore’s comeback would be complete.